There are a number of exports that are instantly associated with their country of origin. 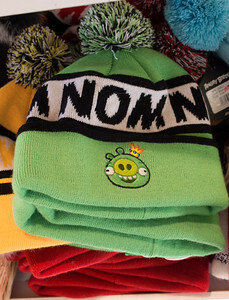 Finland may bring to mind Kimi Räikkönen and Nokia, but you can forget them because the Angry Birds are here, and the Finns want you to know that the birds that are eternally trying to rescue their eggs (and Rovio, the company that created them) are theirs. 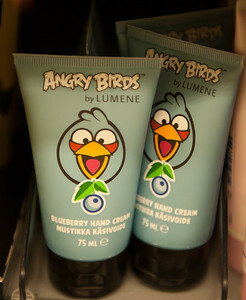 I went to Finland knowing that the Angry Birds were, at that point at least, the most famous Finns in the world. 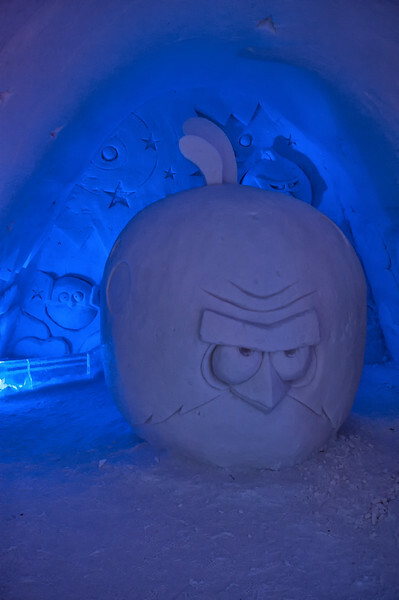 I knew the Finns themselves had a bit of an obsession with them, having heard about the Angry Birds Activity Park in Saariselkä and the Angry Birds room in Kemi’s SnowCastle. What I didn’t realise was quite how far into merchandising that obsession had reached. 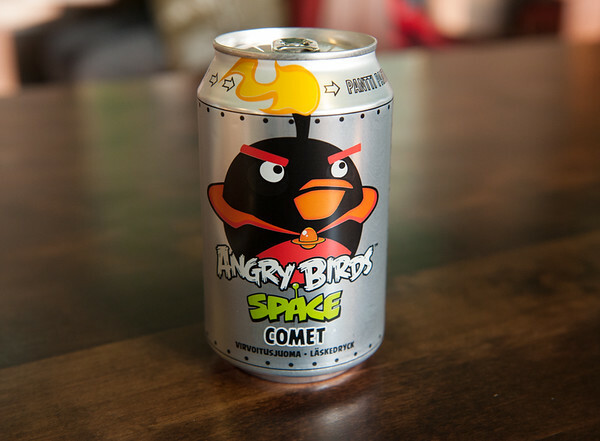 Angry Birds “Comet” drink, which was an orange cola flavour. 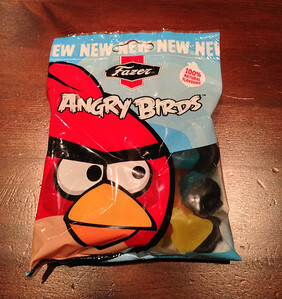 The first product I encountered was Angry Birds cola, which came in at least five different flavours. Since I was looking for a drink anyway, I picked up the “Comet” flavour (which was kind of a combination of Coke and Fanta). Seeing as I like most things orange flavoured, I enjoyed it, and it spurred me to try many of the other flavours during my twelve days in the country. 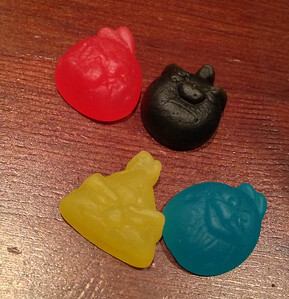 In the end, Comet was still my favourite flavour but since all of them were just a bit out of the ordinary, they were fun to try. 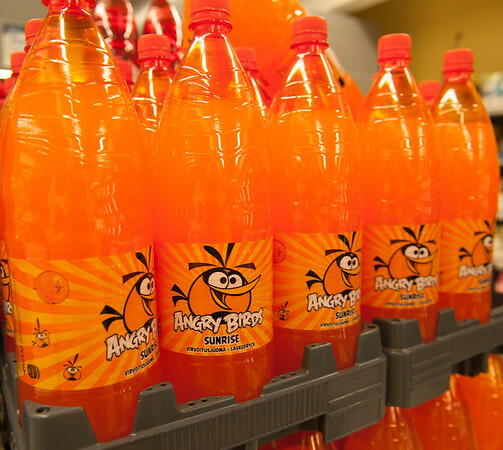 An array of Angry Birds Cola flavours. 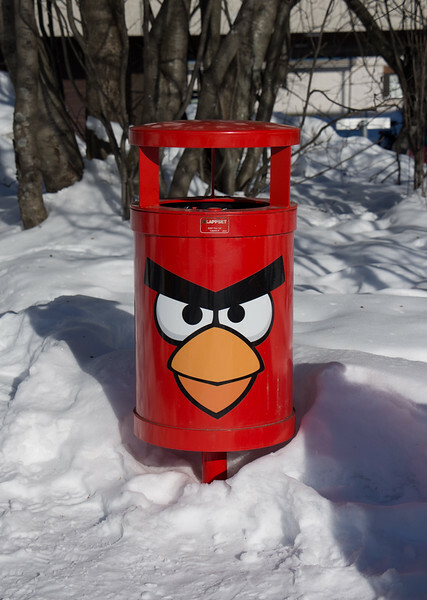 The other thing that drinking that Comet inspired me to do was to take photos of all the ridiculous Angry Birds things I could find in Finland. I think you’ll be surprised at the sheer number I found! 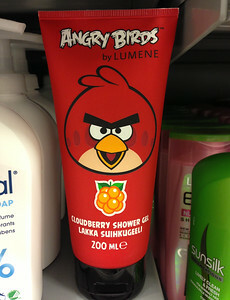 I’m not really sure why being Angry Birds-branded would inspired people to buy hand cream, body lotion, or shower gel. Hair gel, I would understand — I mean, look at all those fantastic hairdos that the birds are sporting — but really? 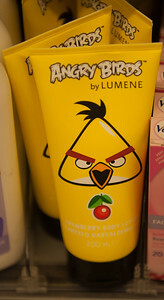 Yellow bird body lotion? 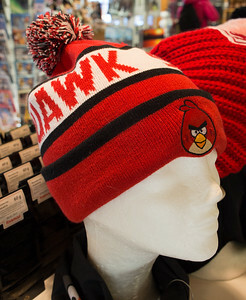 Does it make you fly faster? That said, had the shower gel not been a ridiculously expensive €7 for 200ml, I would have bought it simply because the cloudberry scent was amazing. 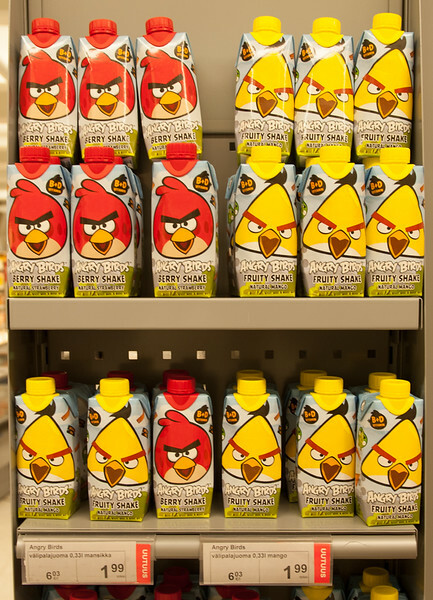 Shelves and shelves full of Angry Birds smoothies. I actually had one of these instead of dinner one night. Even though it was only because I forgot to eat in the midst of a geomagnetic storm (meaning lots of northern lights), it was still quite filling. 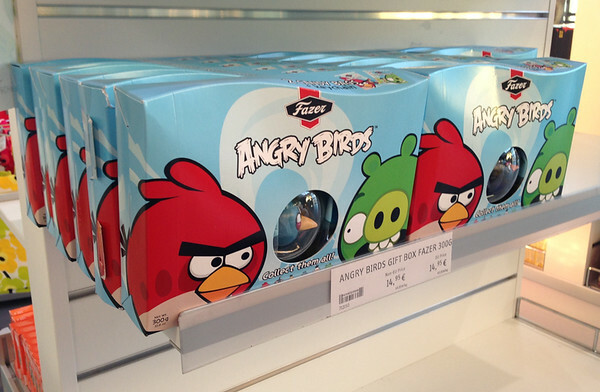 Perhaps you’d like an Angry Birds Kinder egg? 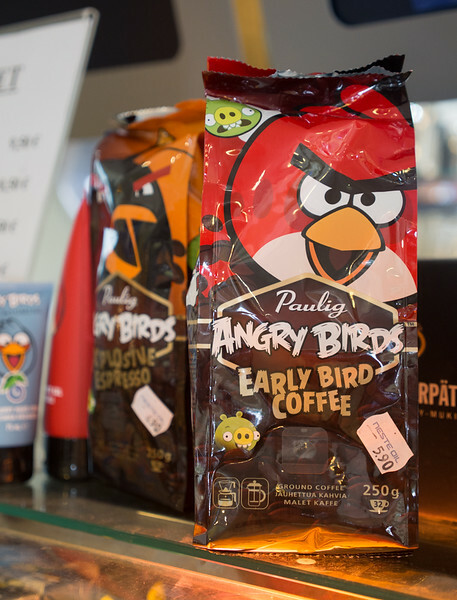 Or perhaps a chocolate gift pack complete with a toy Angry Bird? 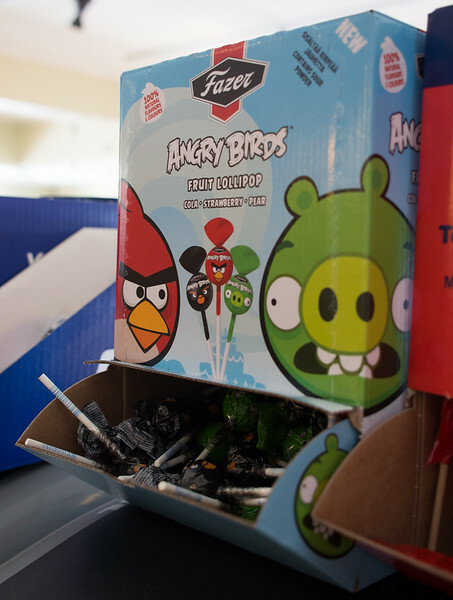 Or an assortment of Angry Birds lollipops? With extra caffeine to make you extra angry (or jittery)? 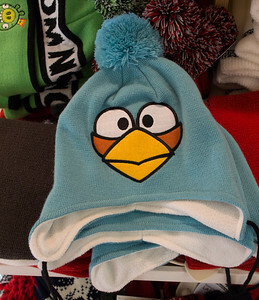 It’s a bit cold in Finland, so I guess it makes sense that they have winterwear that advertises the frustrated avians as well. 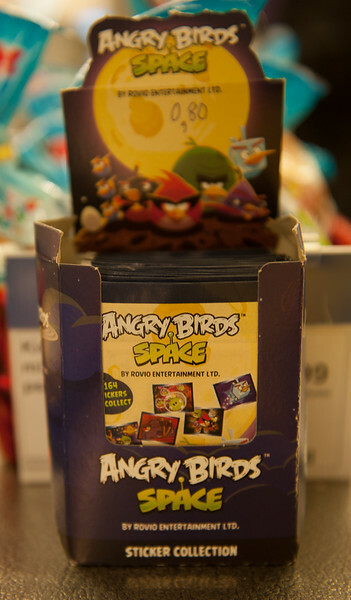 Angry Birds Space stickers anyone? I’m surprised they didn’t have trading cards as well, since the stickers were obviously designed for collecting — get all 164! I don’t think I could possibly name all of the different products you can buy in the following two photos. 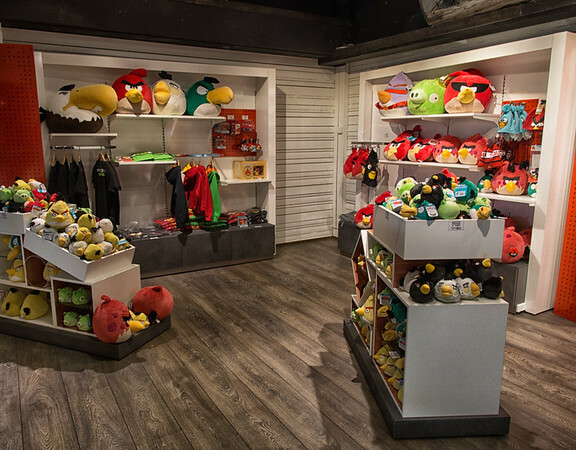 In one case, the array of products wasn’t surprising — since it was in the entrance to the Angry Birds Activity Park — but it was in the other, since it was a standard office supplies store! I can just imagine kids shopping for school supplies going nuts over all of the options. Magnets, lanyards, and notepads…oh my! 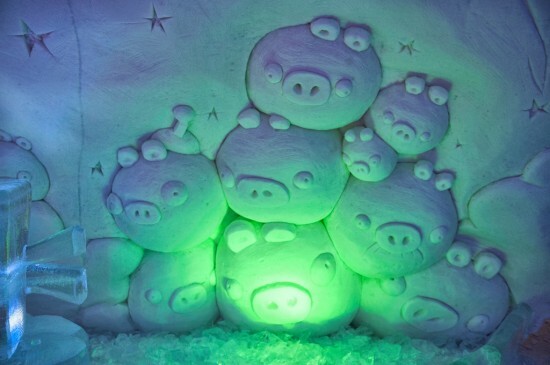 As I mentioned in my post about nearly being steamed to death in the SnowCastle, the Angry Birds fit in nicely with 2013’s “Fantasia” theme. Since they were a slightly different fantasy to dragons, princesses, and beasts, they got a room all to themselves…unless you count the Space Invaders that were clearly invading the room. 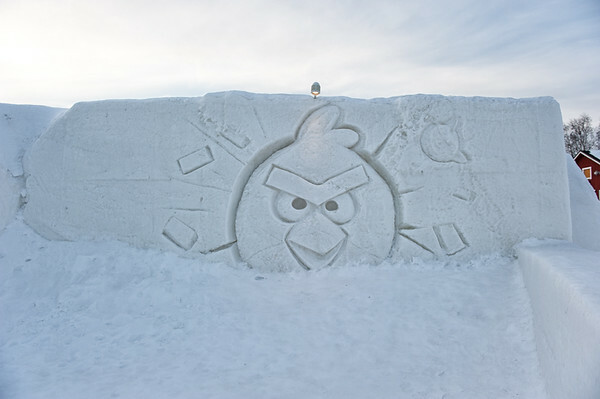 The big red bird sculpted out of snow. The Space Invaders are invading! 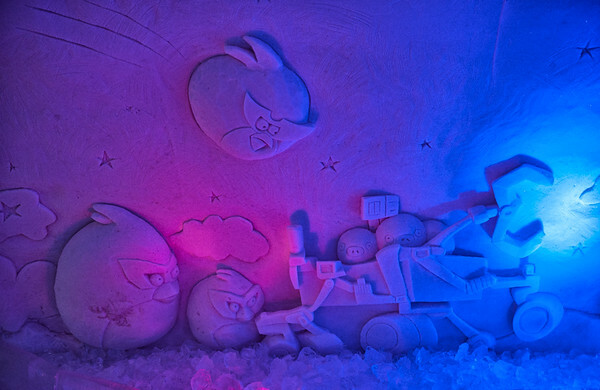 A scene from Angry Birds Space. The entrance to the hotel proper from the Angry Birds room. 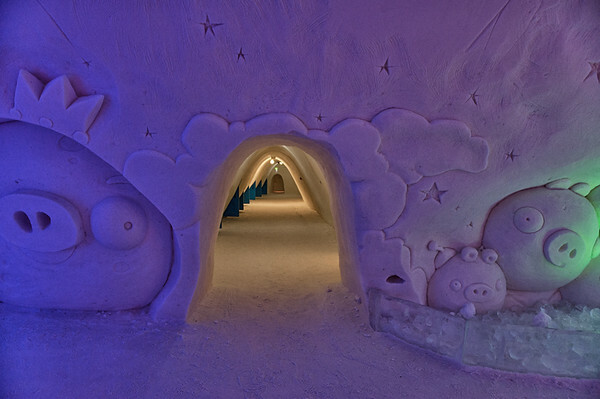 The feature wall at the end of the SnowCastle’s ice slide. 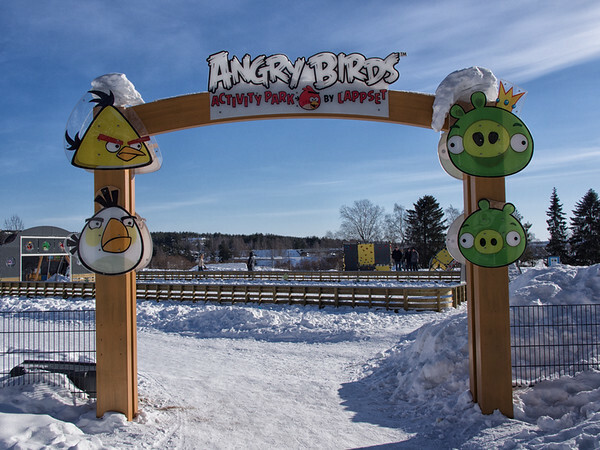 I was surprised to find that there are not one, but two Angry Birds Activity Parks in Lapland. I’ll be writing more about both of these soon, but suffice it to say that they are good fun for kids young and old. Even if you’re a bit too large to fit in the tubes and slides, there are flying foxes — complete with pigs to try to bash — and even games where you can shoot the pigs like you’re playing a game at the state fair. The park in Saariselkä is larger and more comfortable because it’s in a large, gym-like space. 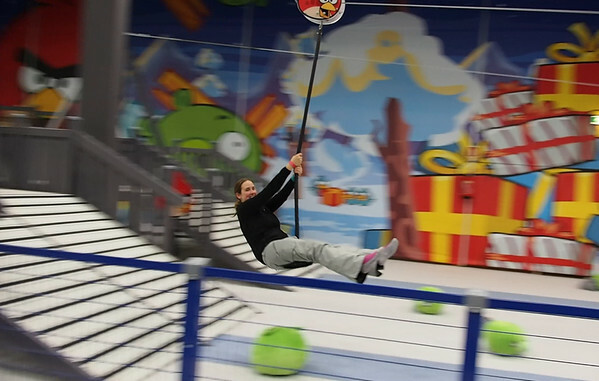 Having a great time being a kid at the Angry Birds Activity Park in Saariselkä. Reminds me of many a birthday party at Discovery Zone! The park in Rovaniemi is a (free) children’s playground in the middle of the city. It doesn’t have any of the electronic games since it’s outside and the snow probably wouldn’t agree with them! The entrance to Rovaniemi’s version of the park. 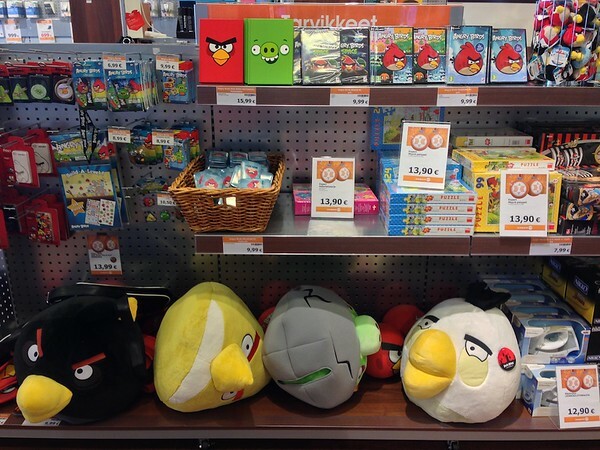 So which Angry Birds product is your favourite? Or would you prefer if Finland wasn’t quite so gung-ho on their most popular export? Thank you a lot that was awesome!! I really Really REALLY want to go there someday. I can’t wait for you to come back and tell me more about it. I’ve thought about it and it’s a tie between the bath products and the Early Bird coffee. 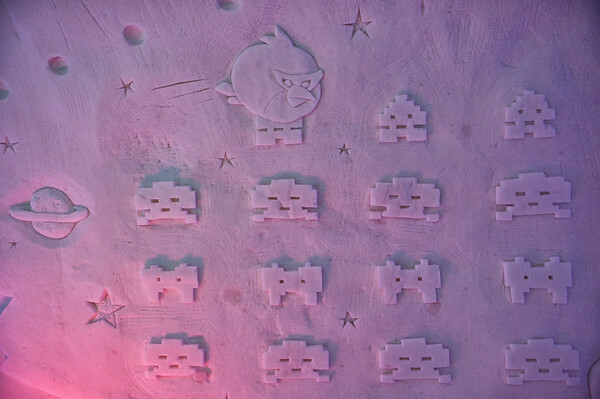 The activity park was disturbing….a Space Invaders activity park however, now THAT would be cool! Haha — both of those seemed very out of left field but if the price had been better I would have at least tried the bath products. The coffee seemed like waaay too much effort when I was moving around so much though. The activity park was actually really cool! 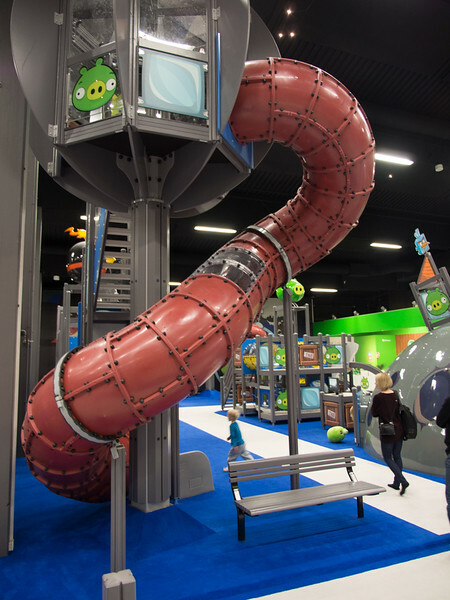 They even had computers set up so you could play a game or two of Angry Birds while you were in between tube slides. I only got to spend a short amount of time in both, but I can imagine kids having a great time. I agree though — a Space Invaders Activity Park would be even cooler!